In Tae Kim’s prolific how to learn Japanese Hiragana, he breaks down learning Hiragana into more manageable steps. This makes learning Hiragana less intimidating and less complex – and therefore more approachable to a beginner. This is exactly how it would be broken down in a traditional classroom setting, as well as with more interesting examples than would traditionally be included in a class. With online Japanese resources, you do not need to wait until your assigned time to begin learning, the resources you need are always at your fingertips. In the case of Tae Kim’s instructional materials, everything you need to learn Japanese is also free. 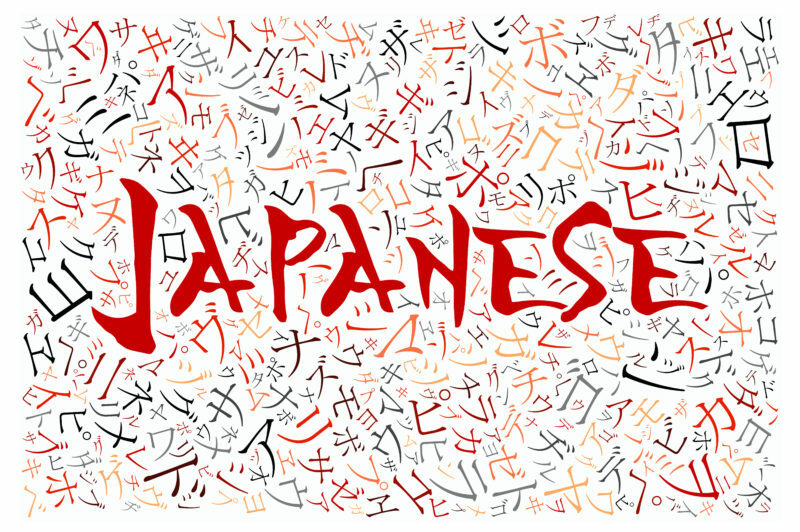 Given these advantages, the following paragraphs will contain a rundown of how to learn Japanese Hiragana. Tae Kim’s site also includes scale-able exercises to aid in learning Hiragana. First, you begin with simply filling out a blank Hiragana chart. There are various hints and tricks available to start, so do not be discouraged if you cannot get it right on the first try. There is also flashcards, so you can drill yourself on each individual sound in the script. The flashcards can be combined with the chart as well, for a well rounded study experience. Additionally, there are writing practise exercises, which increase in difficulty, from basic Hiragana characters, to short vowels, to long vowels, and then all of the cases mixed together. Finally, is reading practise. Running through all of these exercises a few times should give the student a good understanding of Hiragana script and its uses. With this script, every sound used in the language can be represented. You could, technically, write everything in this script, however, it has no spaces. So, once you were done it would be essentially impossible to read. Hiragana is read up to down and right to left, as is most things written in Japanese. In addition to this, the order in which you draw the strokes matters. It is important to note that typed Hiragana letters will look slightly different from the handwritten variety – but you should still be able to read them. Learning how to properly pronounce these letters is critical as well, because this is the basis of learning how to read and write Japanese. Tae Kim’s website has visual resources for learning and recommends additional ones as well. When initially learning Hiragana, take care to form good habits from the start, to develop good handwriting and avoid having to fix issues later. It is recommended to practice the old fashioned way, with a pen and pencil and a piece of paper. The next topic covered in Tae Kim’s guide is the ‘muddied sounds.’ After memorising all of the main Hiragana characters, there is still more to be learned. Muddied sounds refers to five additional consonant sounds that are created by affixing either a two line symbol or a tiny circle symbol to an already existing symbol. This makes the sounds less clipped and therefore muddied – also know as a voiced consonant. All of these characters and letters are shown on Tae Kim’s website. They even have audio files attached so you can hear exactly how they are pronounced. It also runs down the order in which you must draw each letter or character so you can work to develop good habits. You can combine consonants with these sounds by adding these characters. These are vowels and are pronounced a/ya/yu/yo. A small character that looks like a backwards C can also be inserted between two different characters to denote that the vowel sounds is carried between the two sounds on adjacent to it. This creates a characteristically Japanese sounding clipping noise, make sure that you are clipping the right letter. Usually, this is the last letter or sound – but not always. There are three more characters that you can use to create a long vowel sounds. Using these characters, you can extend a vowel sound among two words. Doing these creates a longer sound, but in actuality, it is really two sounds merged together. This is helpful to remember especially when trying to read Hiragana. Pronunciation of long vowels takes some practice and stretching the vowel incorrectly can make it sound like you are saying something different from what you actually intend to be saying. Be careful! Also remember that, like all languages, there are exceptions to be learned when it comes to Hiragana and its usage of vowels within the script. Hiragana is a grammatical language and is used mostly for instructional purposes, teaching children, or expressing complex or colloquial Japanese expressions. Hiragana also works to represent onomatopoeia, words imported from Western expressions, and words with otherwise rare characters. Kanji is the other script in Japanese writing – although its characters are largely adopted from traditional Japanese script. There are over 45,000 Kanji character, but 95% of written material uses only the same 2000 characters. Kanji is also far more common for written Japanese media. Each character in Hiragana is a sound or a syllable, but has no meaning on its own. You can use Hiragana to form full sentences, but they are lengthy and not all that commonly used widely throughout Japan – rather, other scripts are preferred. Hiragana was developed somewhere between the 8th century and the 10th century by simplifying already existing Kanji symbols. For the most part, Hiragana has more curved lines that other related scripts in either Japanese writing systems or Chinese writing systems. There are 46 basic letters, as well as modified letters to create different overall sounds. All of these can be accessed from a multitude of online sources, as well as the other scripts and other tenants of learning Japanese. Anyone can figure out how to learn Japanese Hiragana with a bit of time, patience, and effort. The resources to learn Japanese are free for the most part, so learning a new language is accessible to nearly anyone with a computer.